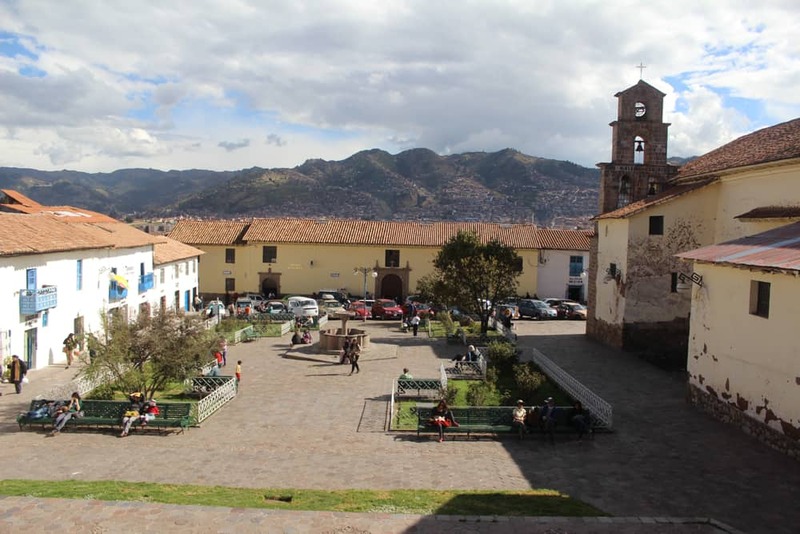 While there are plenty of things to do in Cusco, there is SO much more awaiting you beyond the city limits! Below are some of the most breathtaking day trips from Cusco. You can catch a taxi from anywhere in the city. For combis/colectivos heading to Urubamba or Ollantaytambo, head to Avenida Grau. For combis/colectivos or buses headed to Pisac, head to Calle Puputi. Insider’s Tip: When you take trips around Peru, make sure to bring your passport and your Immigration Card/Tarjeta Andina. You will need to show these when you check into hotels because they’ll need to make a copy. *I may receive a commission if you choose to purchase through any of my affiliate links below. Thanks for your support! This small Andean village is renowned for having some of the best textiles in all of Peru. The villagers spend the week dyeing and weaving their products by hand, and then sell their handcrafts on Sundays at the village market. You can find some of the finest alpaca wool products here, from gloves, to scarves, to chompas (sweaters), to hats. The prices tend to be lower than the markets in Cusco. It is acceptable to bargain on any of the items. While the textile market is what Chinchero is famous for, it would be a mistake to leave without exploring the beautiful scenery the rest of the town has to offer! After you’ve had your fill of shopping, head up to the hills by the market, and into the town square. Keep trekking even farther and you’ll come across some breathtaking, massive stones and caves that are ripe for exploring. Traverse even farther and you’ll find donkeys and pigs roaming freely in the hillside and grazing the grass. It’s very peaceful; you might even pack a picnic for a relaxing lunch. Getting to Chinchero from Cusco is easy. You can take a taxi or a combi/colectivo. A taxi to Chinchero from Cusco usually costs about S/. 30, whereas a colectivo costs S/. 3 per person. Be aware that if the driver of the colectivo knows you’re a tourist, he may quote you a higher price. Pay close attention to the price he tells the locals, and insist on paying the same. Colectivos, while cheaper, are also less comfortable, and there isn’t much organization. Head to Avenida Grau, and you’ll see a bunch of large vans. Look for one with a sign on the front reading “Chinchero,” or simply ask the drivers if they stop at Chinchero. If they are on their way to Urubamba or Ollantaytambo, they can usually stop at Chinchero along the way. There isn’t a set schedule. The colectivo will leave whenever it’s full—and they certainly know how to pack that van! Expect to be squeezed against strangers sitting in the aisles. When you get to Chinchero, hand your fare to the driver as you get out. Located just before the town of Pisac, Ccochahuasi Animal Sanctuary is a privately owned, family-run organization that rescues animals that have been injured or treated cruelly. The crown jewel of this experience is the opportunity to come face-to-face with Andean condors, beautiful and endangered birds that are pivotal to the Andean culture. In addition to condors, Ccochahuasi has llamas, alpacas, falcons, pumas (mountain lions), and more. You can even touch many of the animals. Entrance is free, but the park does accept and rely on donations. Be sure to read my full review of Ccochahuasi Animal Sanctuary. Located in the Sacred Valley, Pisac is another destination many expats enjoy for its calmer, quieter atmosphere compared to Cusco. 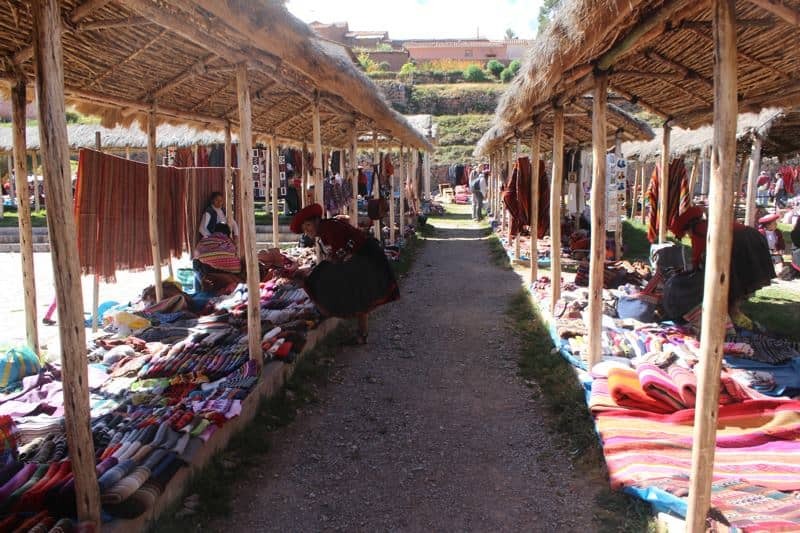 Tourists pack the Pisac market on Sundays to hunt for souvenirs, but the prices here are often more expensive than in Cusco. Dine at Ulrike’s Café, a very popular restaurant lauded for having the best carrot cake. Another highly recommended restaurant is The Blue Llama. 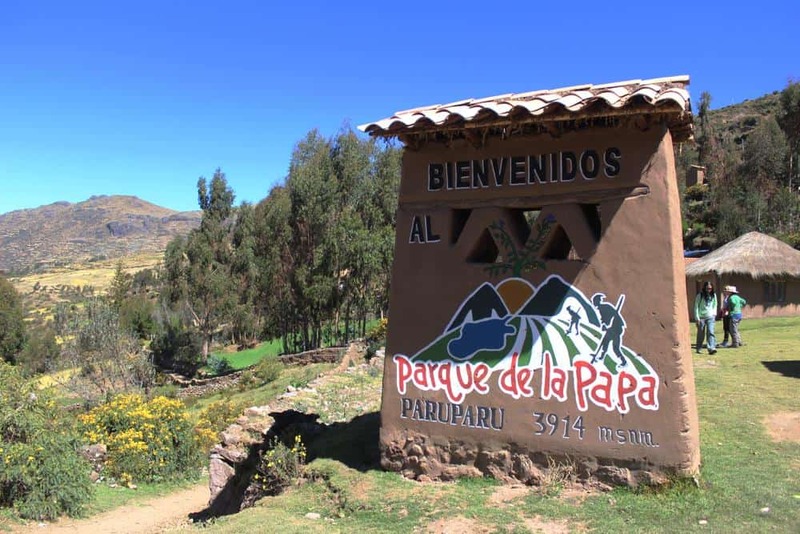 Just past Pisac is the Parque de la Papa. This hidden gem isn’t listed in many guidebooks, and what a shame that is! This is a “potato park” run by a group of six Andean villages living in community with one another, growing and harvesting more than a thousand varieties of pure-bred potatoes using techniques and breeds that date all the way back to ancient Inca times! No machines. No chemicals. All organic. Started in 2007, Parque de la Papa grew out of these villagers’ desire to preserve ancient traditions and potatoes, as well as find a way to form a self-sustaining community. Bask in the peaceful solitude of this community high in the mountains, sitting at altitudes ranging from 10,000 to 16,000 feet. Free from the honking horns and car-exhaust-filled air, you can really get a taste of what Peru was like when the Incas roamed the land. Rolling hills, soaring mountaintops, grazing alpacas, and babbling streams will greet you as you explore the area by foot, with the occasional car ride to take you to villages farther away. Look in the distance and see the lines cut across the green hills; these are the potato terraces. As you make your way along the tour, you’ll get to sample different varieties of cooked potatoes. Each potato has a purpose. Some are only meant to be boiled; others only meant to be fried; and still others are meant to be freeze dried. The freeze-drying process is lengthy and interesting. The potatoes are brought to terraces at a high altitude, spread out on the ground, and left overnight to freeze. After that, they are left out for up to a week to dehydrate them. Once the potatoes are freeze dried, they can last for years. Just add water before eating them. In fact, freeze-dried potatoes have been found in ancient Inca sites, and when water was added to the potatoes, they were still edible! This park isn’t only about potatoes though; it also has animals such as alpacas, llamas, cows, sheep, and chickens. Tours of the park come in many different lengths and varieties and can be customized to fit your needs. A one-day tour is most popular, and a guide will take you (via bus and walking) to different sites, explaining the purpose of each and how they cultivate potatoes on the land. In the middle of the day, he’ll take you to the park’s restaurant, where villagers will prepare a home-cooked meal consisting of vegetables, meat, grain, and of course potatoes, all grown right there in the community. After lunch, some of the villagers may bring their handcrafts and lay them out in the field outside the restaurant. You’re welcome to take a look at the brightly colored bracelets, alpaca scarves, and other artisan textiles. If you like what you see, you can make a purchase to support the community. Additionally, you can leave a tip with your tour guide, but this is not required. The effort the villagers put into preserving their land and their traditions is incredible. Definitely consider making a stop here. Get more information on Parque de la Papa here. This city lies between Cusco and Ollantaytambo. Since it has no ancient ruins, Urubamba is not a popular tourist destination, but it does serve as a great jumping off point for exploring nearby Maras, where the Salineras salt pools are, and Moray, where the Inca agricultural site is (both are described below). From the Urubamba bus terminal (just off the main highway coming from Cusco), you can hire a taxi to drive you to both places. When I did this in 2014, I paid about S/. 85 for a taxi driver to spend about three and a half hours shuttling me to Moray and Maras/Salineras and waiting for me as I toured the sites. 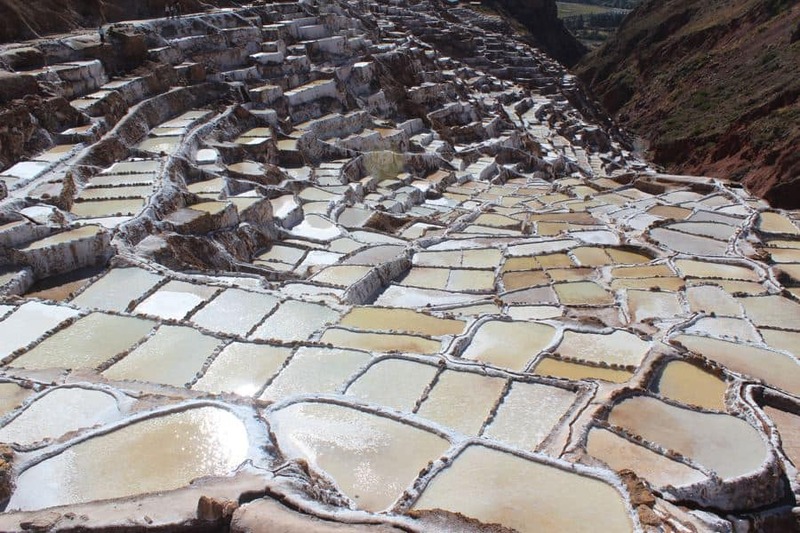 One of the most popular day trips from Cusco is the Maras salt pools. This was my favorite spot on the Sacred Valley tour because it is so visually stunning. You approach the salt pools from up high as your bus or taxi hugs the cliff on a dirt road, giving you a bird’s eye view of thousands of salt pools glistening in the sun. Maras is the name of the nearby town; Salineras is the name of the salt pools. You can explore the place with a guide or on your own. Everything is very hands on; you are free to stick your hands in the warm salt pools and taste them, and if you spot a worker, they may even let you try one of their tools to harvest the salt. Villagers from Maras harvest salt from the pools; you can purchase this salt at one of the many shops set up at the site. 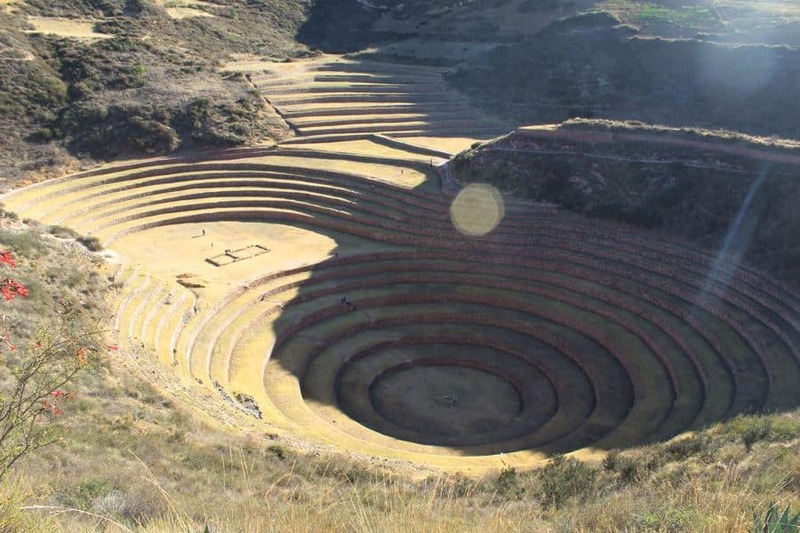 Moray is an ancient Inca agricultural experimentation site consisting of several terraces built into a deep depression in the ground. The temperature differs significantly between the bottom and top, forming microclimates at each level. It is thought that the Incas experimented to see how crops would grow in varying climate conditions. Walking down to the bottom of the terraces can be a daunting task. The steps are carved out of stone and jut out from the wall of each terrace, so they require careful maneuvering. A favorite photo op for tourists is to lie down at the center of the bottom circle and have someone take a photo from up top. Insider’s Tip: If reading the name “Ollantaytambo” gave you a headache, you’re not alone! Everyone has a hard time pronouncing this one. Here’s how to say it: “Oh-yawn-tie-TAWM-boh.” Most locals simply refer to it as “Ollanta” (“Oh-YAWN-tuh”). 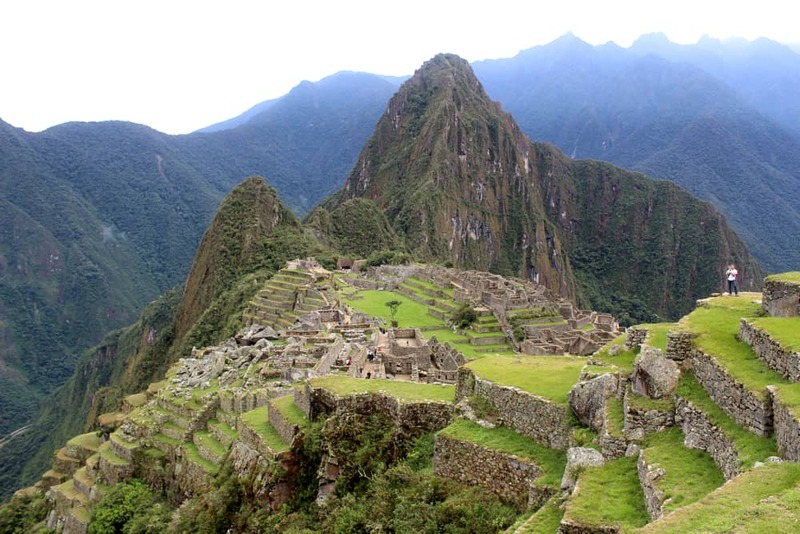 Headed to Machu Picchu? Check out these tours! Situated a bit lower than Cusco at 9,160 feet in elevation, Ollantaytambo is a smaller town in the Sacred Valley beside beautiful Inca ruins (pictured above). This is a nice place to visit if you want to get away from crowded Cusco, but it can be just as touristy. Many people stop here on their way to Machu Picchu, as Ollanta has a train station for PeruRail and Inca Rail. For digital nomads, this town is tricky because Wi-Fi is very slow here (slower than Cusco), and the restaurant and hotel owners aren’t ashamed to admit it. At every hotel I visited, when I asked if the Wi-Fi was fast, they laughed, shook their head, and said it’s slow in all of Ollanta. Many hotels don’t even offer Wi-Fi, but you can get around this by going to one of the several cafes in the main square. Just a 20-minute bus ride will take you to the larger town of Urubamba, where the technology does support faster Wi-Fi. Since Ollantaytambo is such a major stop on the way to Machu Picchu, I will go into greater detail on how to overnight here in case you, like so many others, decide to make a longer trip out of it. The cheapest way is to take a colectivo. The price should be close to S/. 10 from Cusco to Ollantaytambo. On the way, the colectivo often stops in Urubamba. You can also take a private taxi for approximately S/. 90. The road is winding and mountainous, and it changes altitude drastically at some points. Be prepared for a little carsickness if you’re sensitive to motion. The drive takes about one and a half hours. This is my favorite restaurant in Ollantaytambo. I stopped here on my first trip to Machu Picchu and ordered the “el mauro,” a hearty breakfast of seasoned rice and black beans, avocado, egg, tomato, onion, fried plantains, and bacon (optional). Ever since, I have dreamt about that breakfast, which is one of the best I’ve ever had. I actually made a trip back to Ollantaytambo a couple months later for the sole purpose of experiencing the el mauro again. Another strong contender is the banana pancakes—I’ve never had pancakes so fluffy and rich! The bananas are cooked into the batter, and a bit of salt is added for a delightful combination of sweet and salty. I also highly recommend their ginger, honey, and lime tea, which is a welcomed elixir to soothe your upset stomach after that harrowing ride from Cusco to Ollantaytambo. 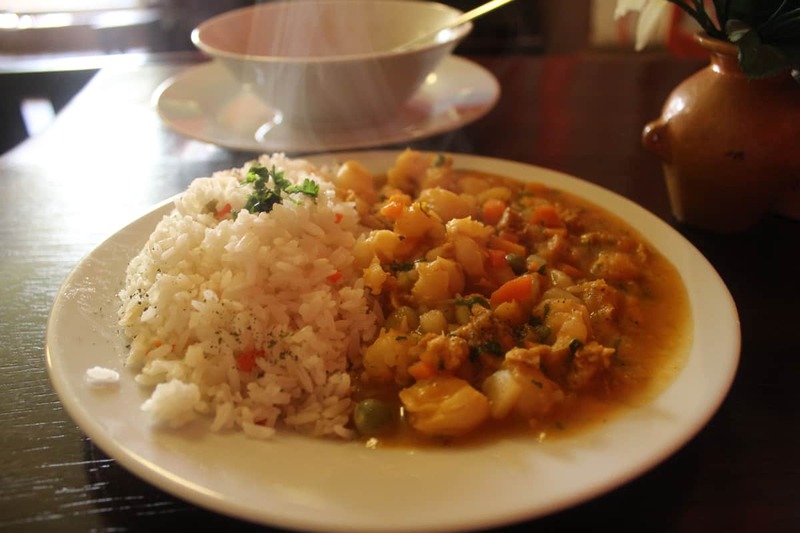 Coffee Tree Cafe has a variety of breakfast, lunch, and dinner items, including American-style food and traditional Peruvian fare. Try the pollo saltado, and end it on a sweet note with their walnut brownie. This is also a great place to soak in the Ollantaytambo atmosphere and people watch. Head up to the second floor for a great view of the square below. Part of an upscale hotel located right inside the train station, El Albergue is a high-quality restaurant that serves fresh, organic produce and meat sourced from the farm on its property. 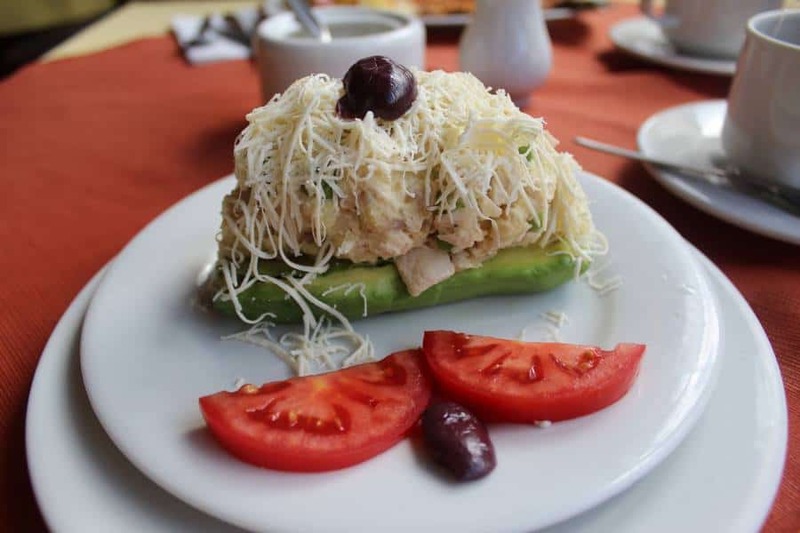 During the day, El Albergue serves sandwiches, soups, and other entrees in a casual setting. For dinnertime, the restaurant has a classier backdrop, with tablecloths, candles, and a different menu. If you want to have dinner here, it’s recommended that you make a reservation ahead of time, though it’s not required. While you’re here, ask if you can take a tour of the sprawling organic farm behind the restaurant. Below are the places I stayed while visiting Ollantaytambo. You’ll notice I list street names without numbers; that’s because Ollantaytambo is so small there aren’t real addresses. Just walk the street, ask around, or call the hotel, and they’ll be happy to give you directions or come find you. This small, seven-room hostel has a beautiful garden and incredible views of the Ollantaytambo ruins. There is also a lounge area and a kitchen that guests are welcome to use. Situated on the corner near the Ollantaytambo Market, this hotel has a relaxing garden and partial views of the ruins. This small, family-run hostel is right in the heart of the main square, with some rooms overlooking the plaza. I stayed in the single room, which is tiny, but I found it quaint and relaxing. If your next stop is Machu Picchu, you’ll need to get to the train station. You can walk there from the main square in about 15 minutes, or you can take a taxi or one of the little moto taxis. I prefer the moto taxis—they’re an adventure! And really cheap. It shouldn’t cost you more than S/. 2 to get a ride to the station. Transportation to the train station can easily be found in the main square. Recently, Rainbow Mountain has been quickly catching up to Machu Picchu as Cusco’s most popular attraction. And you can see why—it looks unreal! Sadly, I didn’t get a chance to visit it when I was in Cusco; I didn’t even know it existed! 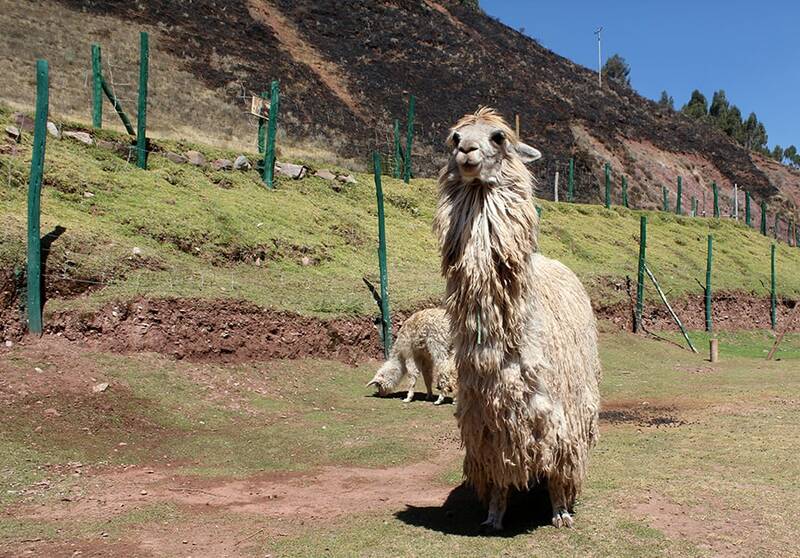 Okay, we all know you probably came to Cusco to see Machu Picchu, and with good reason! If you don’t want to go through the hassle of obtaining entrance tickets on your own, you can have a tour company get Machu Picchu tickets for you. Just realize you’ll pay more for the convenience. For tourists, Cusco is often merely a checkpoint on the way to their main destination: Machu Picchu. I think that’s a big mistake because that viewpoint causes them to miss out on the richness of Cusco. Since Machu Picchu is only a tiny part of life in Peru and because there are so many books, blog posts, and tour packages that already cover this destination, I’ll cover it only in brief below. Don’t get me wrong, Machu Picchu is amazing. This ancient site, one of the new Seven Wonders of the World, is an architectural masterpiece of intricate drainage systems, temples, huts, and terraces soaring over the cloud forest in a fertile region of Cusco. In 2013, more than one million people made the long and pricey journey to see it. Constructed by the Incas at the height of their empire in the 15th century, much of this citadel is still shrouded in mystery. 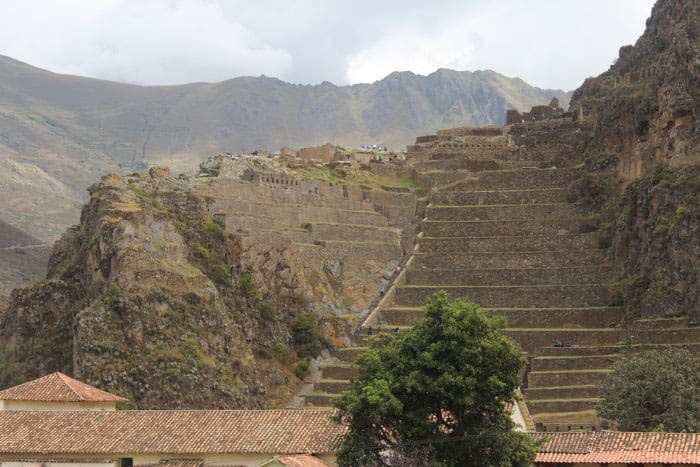 No one knows for sure why it was built; some believe it was a royal estate for Inca ruler Pachacutec; others believe it was a transit station for agricultural products; still others think it was a sacred Inca site that was used as a temple honoring their gods. Even more perplexing is why this marvelous city was left behind; it appears to have been abandoned shortly before the Spanish conquered the Inca Empire, and it was never discovered by the conquistadors. Another part of Machu Picchu’s mystique is it is an engineering marvel. The Incas are famous for their architectural technique of fitting massive stones together with incredible accuracy and without using mortar. The very fact that the structures have stood for more than 500 years attests to the Incas’ building expertise. For hundreds of years, Machu Picchu remained hidden from the rest of the world, until 1911, when Yale University historian Hiram Bingham claimed he discovered it. That claim is now disputed; many say Machu Picchu was known by the locals and was not as hidden as Bingham had made it sound. To learn how to get to Machu Picchu from Cusco, check out my detailed Machu Picchu itinerary post. Looking for a place to stay on your next trip? Get $40 off your FIRST Airbnb stay with my referral link! I've used Airbnb almost exclusively since 2013. Click here to get $40 in Airbnb credit! Which Day Trips From Cusco Will You Embark On? As you can see, Cusco is the perfect jumping-off point for many outdoor adventures in Peru! Whether you love hiking or just want to do some shopping, one of these day trips should be perfect for you. Enjoy!